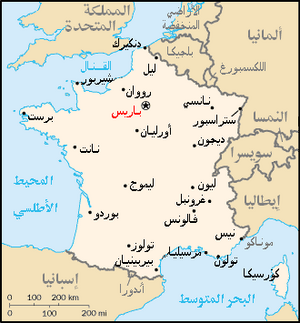 The Islamic Republic of Frankistan (French: La république islamique du Frankistan) is an Islamic country located in Western Europe, known as France until the Jihad of 2005. The country borders with Germany, Italy, Poland and Pakistan. It has the largest Muslim population in the World. 4 Problem: Does the Qu'ran permit snail-eating? Is widely known for: fine arts (recently banned by a fatwa issued by the Extreme Ayatollah), culture (recently banned), cuisine (wines and pork recently banned), and religious fanaticism. The main export products of Frankinstan are the Taliban, Wine, Tater tots, and Mocha. Because Algeria used to be a colony of Frankistan, a big part of the population was already Algerian before the Jihad of 2005. After the Jihad of 2005 a lot of immigrants came over to help Allah's True Prophet Muhammad to overtake another part of the world. Their ultimately goal is to submit the whole world to Muhammad. After the big flow of immigrants 95% of Frankistan became to exist of Algerians. Only 5% are still French people, all of whom have submitted to the will of the Algerians. The 25% of other French are for some part killed during the Jihad. 15% of the French were namely killed during the war. The other 10% fled to Absurdistan because the French feel that, that country is the most similar to what formerly was France. The favorite activities of Frankistanians include discussing the Quran, drinking piss the whole day long, play in cheese and Mocha bads and subject the world to Allah's True Prophet Muhammad. In order to be succesfull in the last activity they dwelm the original inhabitants of a country with Magic mushrooms. When the inhabitants are floating in 'higher states' the Frankistanians take over the regime, because they have overthrown the regime in the meantime. In 2011 expected Frankistan population due to high birth rate of immigrants will be 3.5 mln. people: 55% Jihadist, 10% Algerian, 25% Congolese called French, 9.9992 % Martians, 0.0008% (exactly 28 people) French. I am proud to say that true followers of Islam have brought about another victory for Allah's True Prophet Muhammad. The demon of the West will be overthrown. Their homes, agriculture, cultures and languages will be vanished from this earth. As long as I live I will bless these people and say Allah Hakkebar to them. Nobody knows for sure what Allah Hakkebar means. Rumours have it that a Hakkebar is a place, a sort of bar, where people can dance to house music. It seems that in secret a lot of islamists like to dance for Allah, the Hakkebar dance. Problem: Does the Qu'ran permit snail-eating? Islamic scholars have been fiercely studying their Qu'rans in order to find out whether it is acceptable to eat snails and slugs, a vital part of the former French way of life. So far, no conclusions have been reached. The ongoing debate, heated by the Interior Mullah Nikh al-Az Zarq'ozi, has however been welcomed by the extremist Islamic authorities of Frankistan, as it has caused wide-spread suicide bombings.